India and China, who were enemies in a bloody war in 1962. have decided to start periodic joint military training exercises, an Indian Defense Ministry statement said Tuesday. 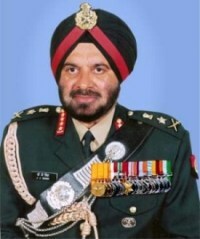 The decision was made during the Indian army Chief Gen. J.J. Singh's weeklong visit to China, which ended on Monday, the statement said. It did not give dates of when the first joint maneuvers would take place, or any further details. India and China were suspicious neighbors for decades after a brief war in 1962 over border disagreements, but relations have warmed in recent years. Still, the dispute over the 129,500 sq.-kilometer (50,000 square-mile) area along their mountainous frontier remains unresolved. In April 2005, the two countries signed an agreement to forge a "strategic partnership." Last year, India and China signed a memorandum of understanding to institutionalize training and exercise exchanges and other contacts. During his weeklong visit to China, Singh visited operational formations and higher military training institutions like Academy of Military Sciences in Beijing, the statement said.